1. Accommodations: While there are countless resorts and swanky hotels on the Big Island, staying at one of these places can drain your pocketbook dry after just a few days. Remember that the beauty of Hawaii is in its climate, its foliage, its beaches and its rainforests, not just in its posh accommodations. 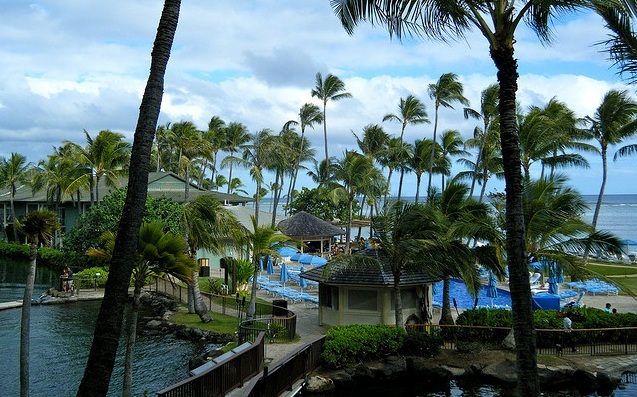 There are plenty of hotels in Hawaii that are low and reasonably priced, although they are not quite as luxurious as their more expensive compatriots. If you’re looking for a list of places like this, check out Frommer’s ‘Hawaii for $80 a Day.’ You can easily find a spot from this guidebook that costs much less than $100 per night – and remember, in Hawaii, every hotel is in a gorgeous location! 2. Flights: Thanks to the Internet, finding cheap airline tickets is now a breeze. 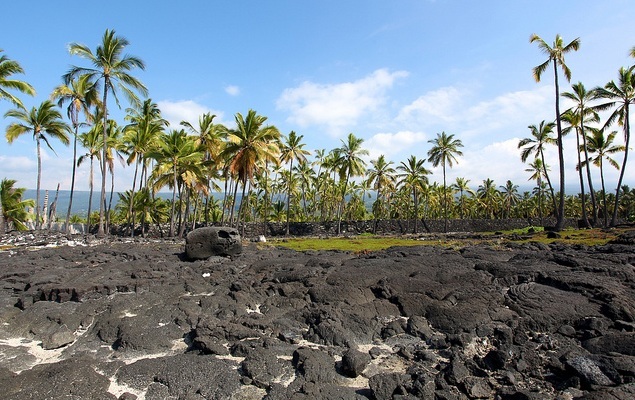 Remember that it doesn’t matter what time of the year you visit the Big Island – it will always be warm and sunny. So try searching for airline tickets during the offseason, particularly from October to February as it will be difficult to obtain discounted tickets during the peak months of July and August. Offseason tickets, for their part, are often offered at half the price, and usually bundled into Round-Trip Airfare, which will save you tons of extra money. Bundle this with luggage insurance and you will be good to go! 3. Beachside Condos and Villas: If you’re looking to stay in Hawaii longer than the average tourist, finding an affordable seaside suite is easy. 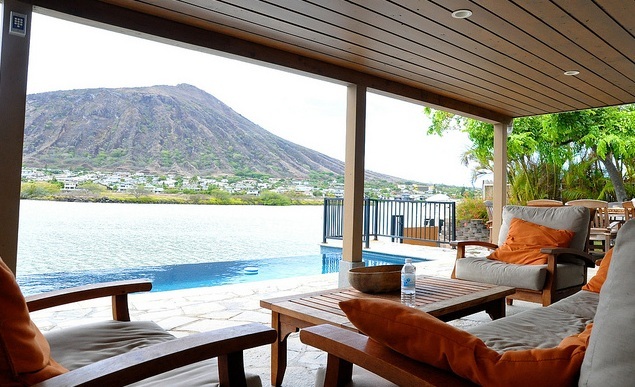 Without a doubt, the best bang for your buck can be snagged by searching through Hawaiian rental directories. They offer a vast array of condominiums with prices starting as low as just $100 per month, though most cost several hundred, even in the off-season – which is still much cheaper than most hotels! You don’t have to worry about paying an AC bill, either, because Hawaii is always at a perfect temperature. 4. Save Money on Transportation: Don’t waste your money paying for an expensive rental car; that can cost big bucks. Instead, purchase a few tickets for the local bus. You’d be surprised how much money you will save just by taking the public buses – and don’t worry, the public buses in Hawaii are clean and efficient. Many hotels will also offer shuttles and taxis around the island if you need to get somewhere in a hurry. Most of the buses in Hawaii circle the entire island, so it’s almost as good as getting your own private tour, as well. 5. Choosing Activities that are Cost-efficient: One of the biggest financial pitfalls of traveling families, honeymooners or retirees is choosing the wrong way to entertain themselves while visiting exclusive destinations. Contrary to popular belief, there are many simple yet dazzling ways to spend your day in Hawaii without dropping more than a few dollars a day. One of these activities is swimming; the ocean in Hawaii is crystal clear and warm. 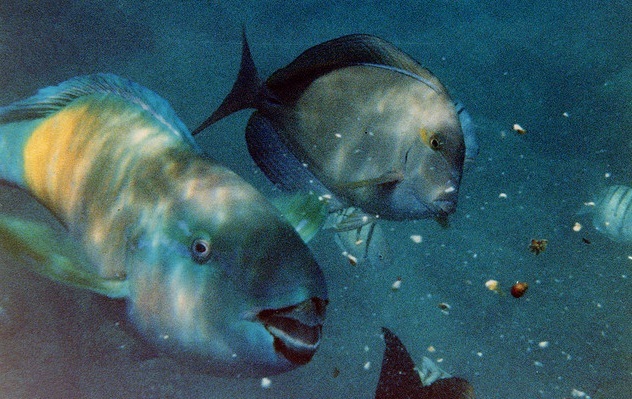 Snorkeling is another cheap and fun pastime. But there is nothing like hiking the gorgeous rainforests and mountain trails of the Big Island. The beauty is unparalleled, the colors are incredibly vivid, and the wildlife is breathtaking. All of theses activities require little more than swimsuits, goggles, sunblock and hiking boots. 6. Tours: If you’re hoping to see the Big Island on a tour, be savvier than the rest of the tourists on the island and book your spots on a bus at the last minute. By the time the final few moments roll around, most bus tours are looking to fill up every available seat, and they will often do so at a discounted price. 7. Stay away from Touristy Cities: As stated before, hotels with cheap prices are really quite plentiful in Hawaii – but your best chance at finding these places is if you stay away from the massively popular cities like Waikiki or Honolulu. Instead, seek accommodations in the quaint towns located throughout the Big Island. Not only are they cheaper, they also offer a greater degree of tranquility amidst a more laid-back atmosphere. • Café Ono, Big Island. With plates starting at just 6 dollars, this restaurant offers variety and flavor – as well as a beautiful scenic view. It is actually well known for being the place to go for budgeted dining, as well as offering a wonderful familial atmosphere. They serve breakfast, brunch, lunch, dinner and takeout. • Patz Pies, Captain Cook. There’s nothing like pizza to fill the stomach – and be easy on the checkbook! Patz Pies is known for thin crust pizza, as well as their many variations on this popular food type. Pineapple pizza will seem particularly appropriate while visiting these tropical islands. • What’s Shakin’, Pepeekeo. With great smoothies, outdoor dining and an atmosphere perfect for families, What’s Shakin’ is an easygoing and affordable place to eat. They serve up lunch, takeout and dessert. • Lighthouse Delicatessen, Hawi. Nothing is cheaper than sandwiches. The Lighthouse Delicatessen offers stellar outdoor seating in the warm Hawaiian climate. They offer cold beer for the adults and chilled sodas for kids. • Annie’s Island Fresh Burgers, Kealakekua. Terrific basil-garlic fries, salads, soups, onion rings and hamburgers, this Hawaiian-style spin on traditional American dining is a winner – cheap food and fantastic quality. For those who come to the state of Hawaii and find themselves falling in love with it, buying a home on Oahu’s north shore may be the next course of action. If that’s the case, the joy of a Hawaiian vacation could become your new day-to-day lifestyle. Imagine that!